Opened in 1787 by Sweden’s King Gustav III, the University of Uppsala Botanical Gardens are one of the city’s most popular destinations. In addition to outdoor gardens and a tropical greenhouse, the grounds house a café, special exhibition hall, and gift shop. Contained within the grounds of the Botanical Gardens are the Baroque Garden, drafted in 1750 and featuring a 17th-century wall and rockery; the Linnaean Garden, designed by super-scientist Carl Linnaeus; the Orangery, a greenhouse in the Linnaean Garden; and the Tropical Greenhouse, a warm oasis in the winter months. The grounds also house Café Victoria and a small gift shop. Guided tours of the park and gardens are offered Saturdays and Sundays from June through August, and tours of the Tropical Greenhouse on the first Sunday of every month from September through May. While the grounds are best explored at a leisurely pace, private walking tours of Uppsala provide in-depth information about the city’s planning and architecture. The Tropical Glasshouse and Linnean Orangery are wheelchair accessible. Café Victoria, open daily from May through September, offers pastries and light meal options made with local, organic ingredients. The Botanical Gardens houses Sweden’s only indoor rainforest. Located in the heart the city adjacent to Uppsala University, the Botanical Gardens are easily accessible on foot or by public transit. The nearest stops are Uppsala Blasenhus on bus 2 and 7. Parking lots are located at Villavagen 6 and Norbyvagen 18, and handicap parking is located in front of Café Victoria. While the gardens are busiest on weekend afternoons, the size of the grounds ensure it never feels overly crowded. Go on a weekday morning for a quiet visit. 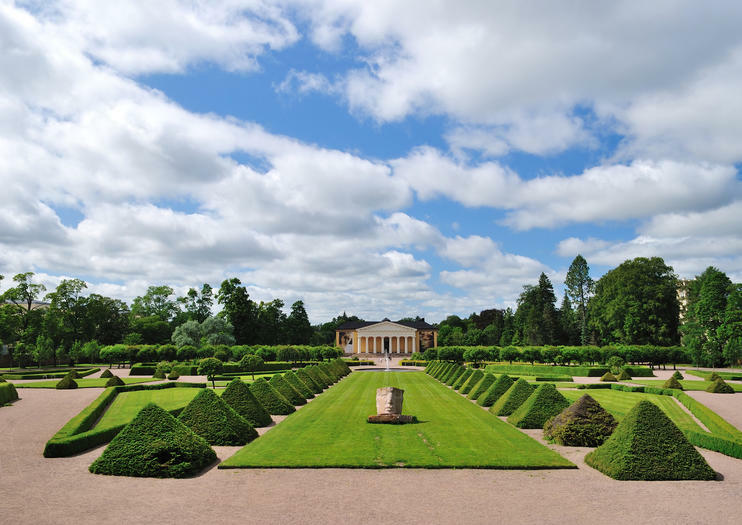 Head to the 16th-century royal Uppsala Castle to experience a piece of Sweden’s history and take in panoramic views of the Botanical Gardens’ intricate layout. From the top floors, visitors can gaze down onto the Linnaean, a garden designed by 18th-century scientist and “father of modern taxonomy” Carl Linnaeus.